The known ever oldest Lyrids meteor shower can be witnessed annually but the cosmetic event can be witnessed for more than a week this year. The spectacular Lyrid Meteor shower is considered to be the leftovers of G1 Thatcher comet the spotted back in 1861 while passing the earth. The G1 Thatcher comet is believed to have appeared on earth once in 415 years and that will be witnessed again in 2276. 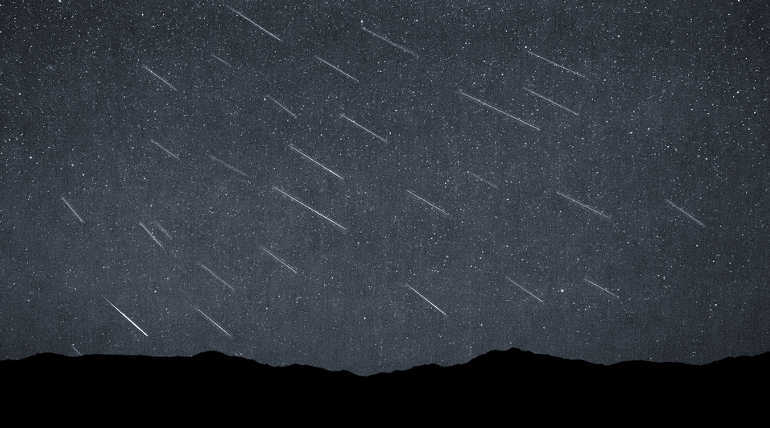 The April Lyrids are the strongest meteor shower ever that shows up in the sky annually. Usually, the fall out counts up to 10 to 20 meteor per hour but sometime the count may exceed more than 100 per hour that is virtually known as an outburst. Such as outburst has been recorded back in 1803 in Virginia as a count peaked up to 700 per hour. The oldest ever known Lyrid Outburst was documented back in 687 BC. Now we are not about to witness that like outbursting even in this week but the usual Lyrid showers are one of the spectacular things of the spring night. As per the previous records, the shower intensifies between April 22- 23 and the time around midnight and before dawn would be more appropriate to watch. the people of Northern Hemisphere have possibly enough chance of witnessing the even if managed to spot the Lyra constellation or the Vega star second brightest star in that constellation. According to the suggestions of Astronomers just keep your eyes at the east from your location to see the showers. The possibility of grabbing some long-tailed meteors will be high in the rural areas than the urban areas. One can easily spot the shower in the dark sky right after the nightfall in the less artificial light area as the darkness increases the chance of spotting. The fireball like shooting stars also can be expected but it is a rare case. The shooting stars may appear when some debris of those meteor touches the earth atmosphere and set itself glowing in the fire. The meteor shower Watching is the indirect term of waiting and calmness so get settled and hold tight until the first one shows out.